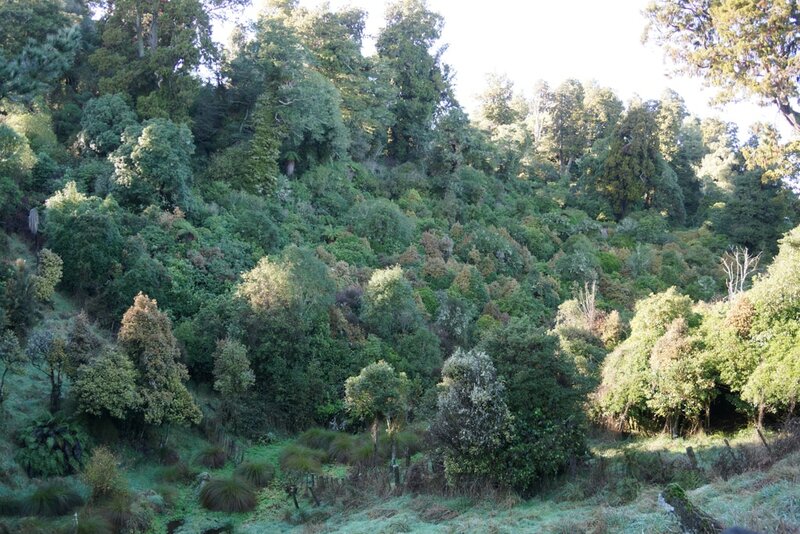 This 130 acre (53 hectares) native virgin bush reserve is just behind the Rangiwahia Village on the south side. The early settlers left this area of bush untouched, as it was considered an ideal water catchment for the growing village. There are now 70 trees, including tree ferns and broadleaf varieties labeled along the track. ​The Rangiwahia Community was awarded a grant by the Fonterra Grass Roots Fund to label native trees within this bush reserve, adding interest to the track . Graham Pritchard, a retired botanist agreed to help with this project and his knowledge and meticulous attention to detail, enabled an accurate record of the trees. 68 labels were made by Acorn Botanica Labels in Upper Hutt, and were finally put in place October 2014. They look fantastic and will provide added interest for all, young & old, who walk the track. We are so grateful to The Fonterra Grass Roots Fund for providing the funding for this project. A passionate group of locals have worked hard to restore the access to this gorgeous stand of native bush, as well as marking out the walk. Travel down Mangoira Street until you arrive at the carpark. Walk to the style and follow the pink triangle markers. It is about 90 minutes medium walk and well worth taking the time to experience what the Rangiwahia district used to be like before settlement. ​Bird life is plentiful, though not always easy to see. 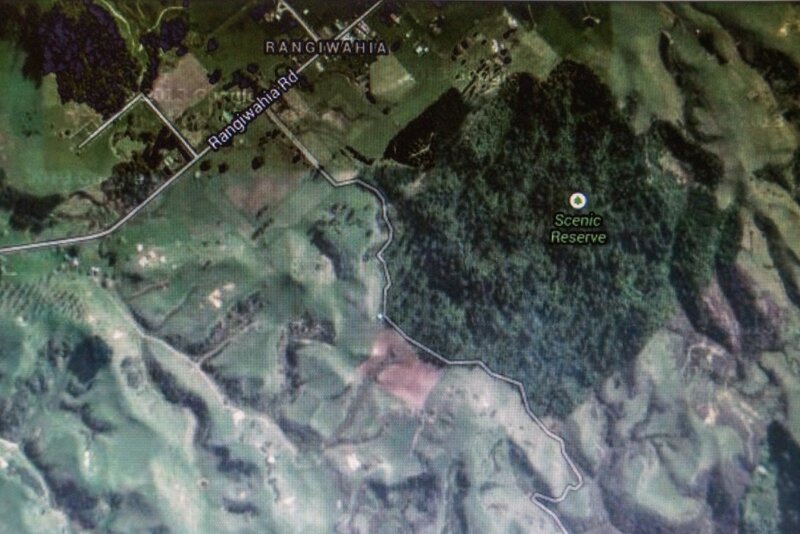 The map shows the proximity of the Reserve to Rangiwahia Village. It is approximately 5 minutes from the Rangiwahia Hall to the carpark, otherwise you can drive up the short access road to the carpark. The access road, Mangoira Road, is off Rangiwahia Road. It is a short drive to the car park from where a fence, stile & mailbox will be seen. The mailbox contains a visitors book, so please make comments. On Google Maps, do not follow the route down Mangoira Road. It will try to take you across farmland. Only a short section of the road is used. Take Rangiwahia Road to just south of Rangiwahia Village. There are now clear signs directing visitors to the correct entrance. ​The track within this Reserve is not an official Dept of Conservation (DOC) track and is used for the purpose of pest-control, but may be walked.